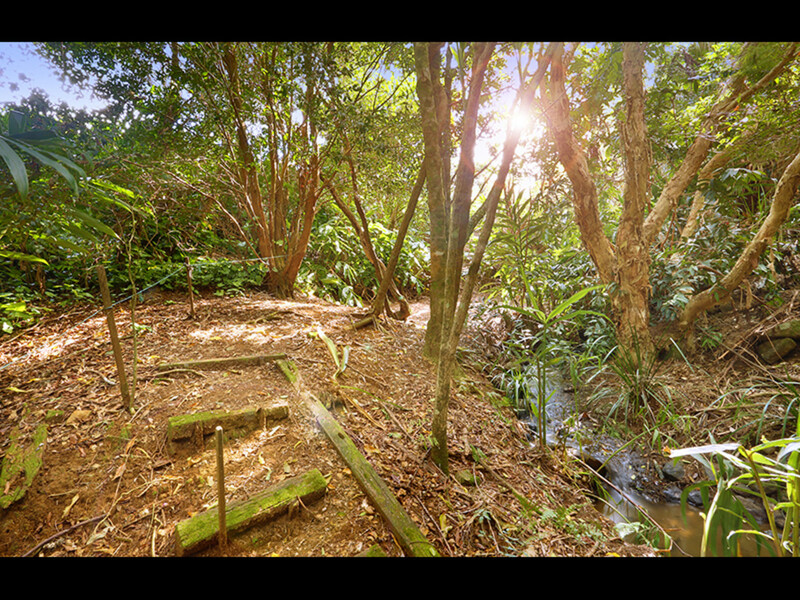 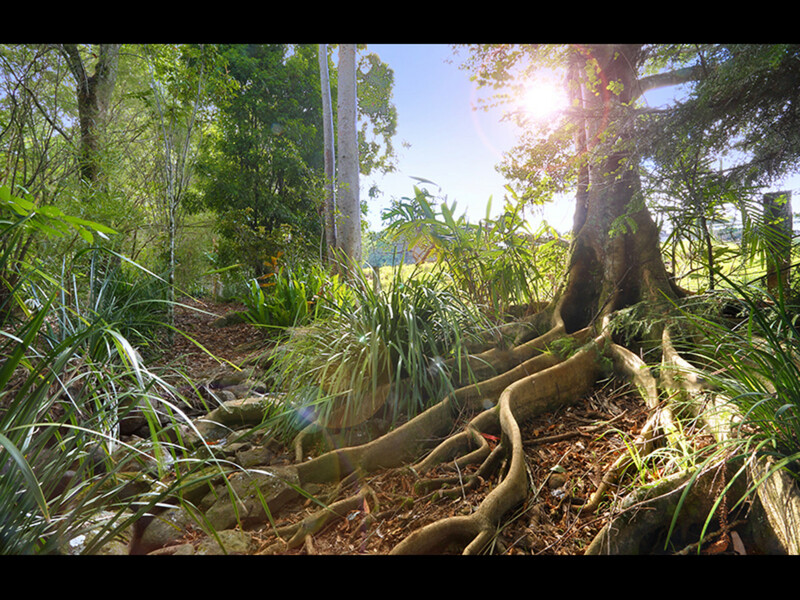 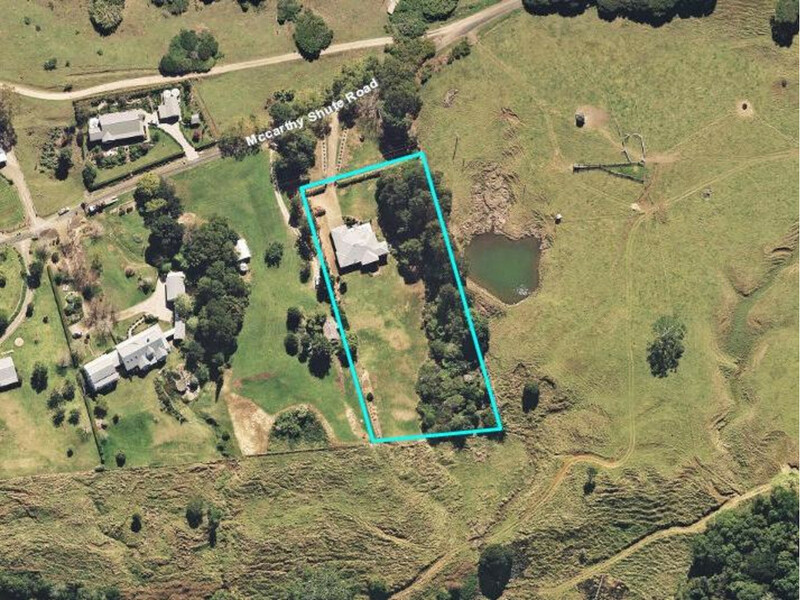 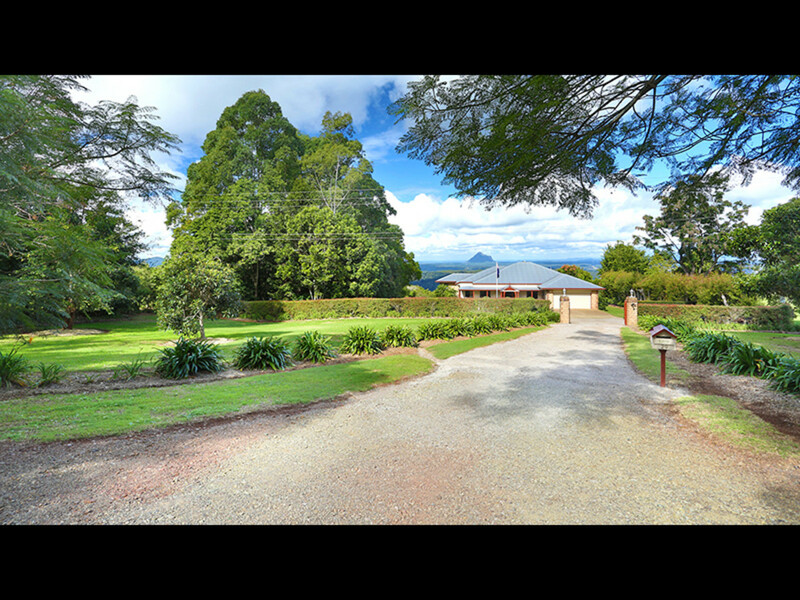 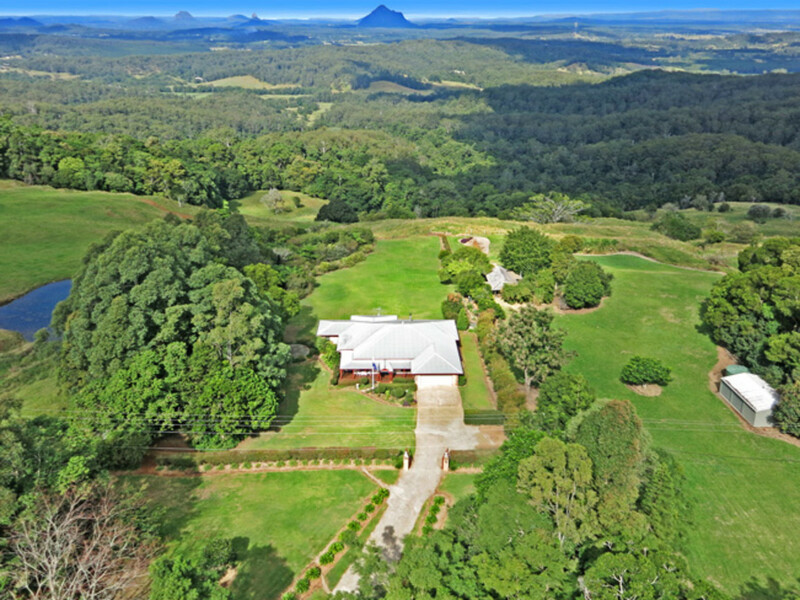 Prestigiously positioned in a private, tightly held country lane in Maleny, this superb country estate is only minutes from the Maleny township and local shops, schools and cafes. 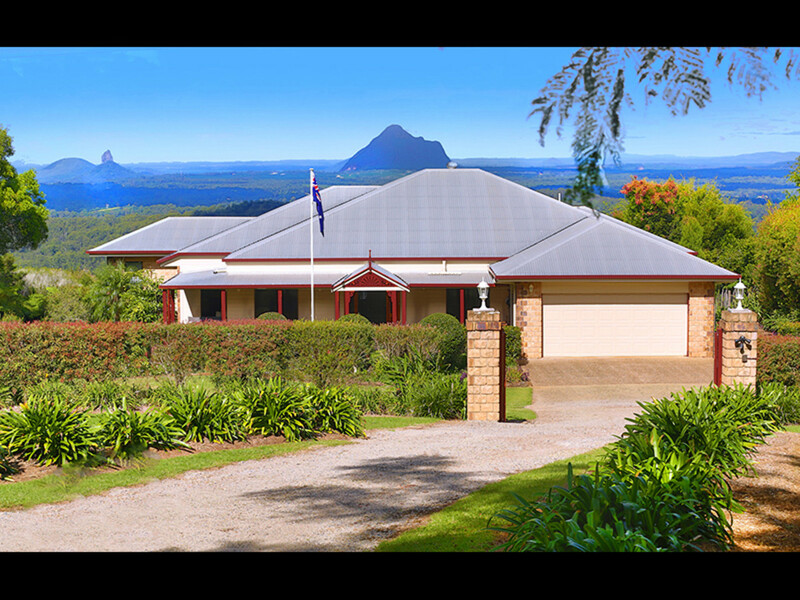 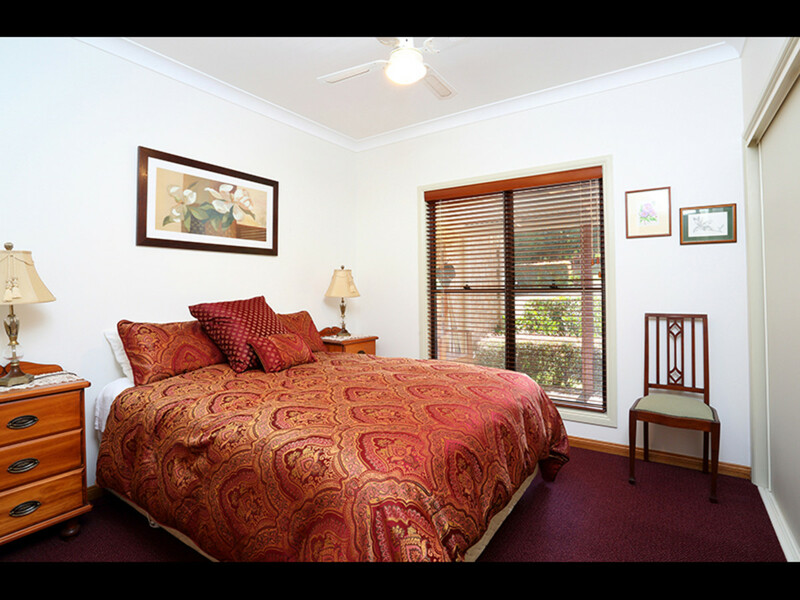 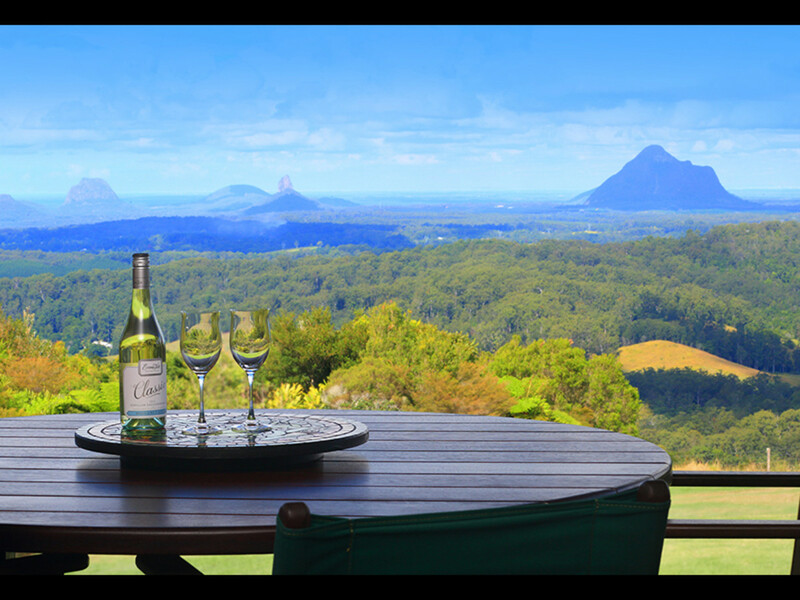 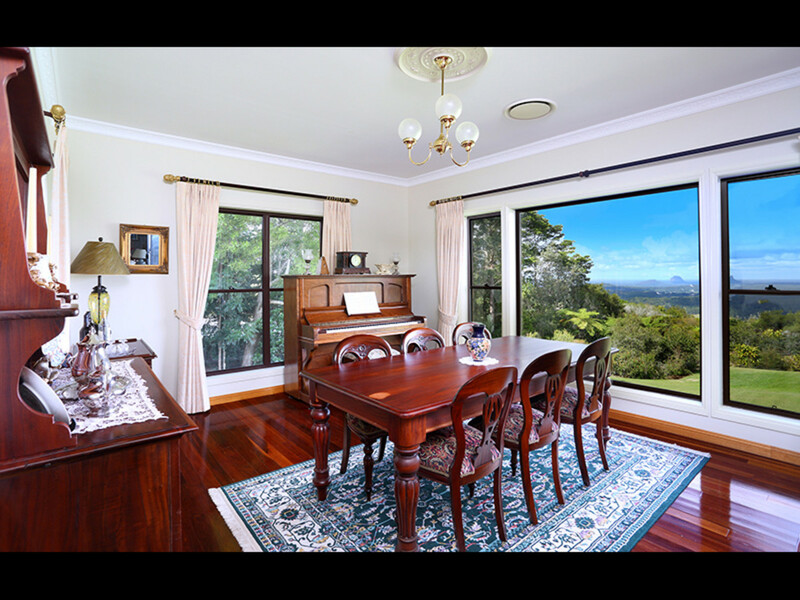 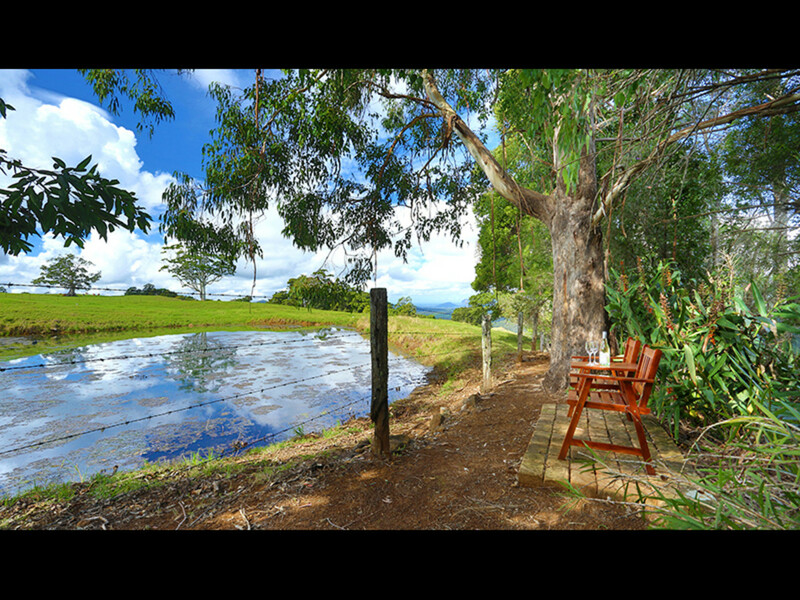 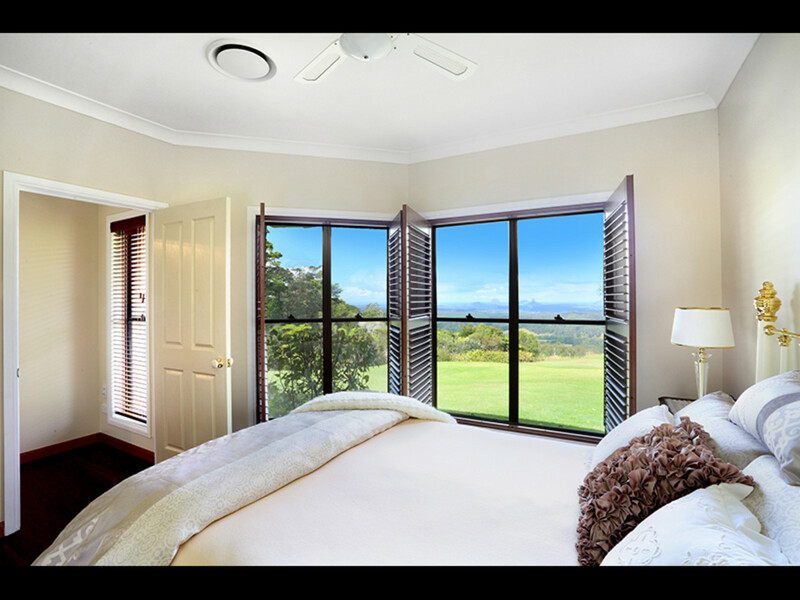 Surrounded by the rolling hills of the hinterland and boasting picture perfect views over the Glasshouse Mountains and coastline, this idyllic location offers a rich blend of elegant living, country charm and pure tranquility. 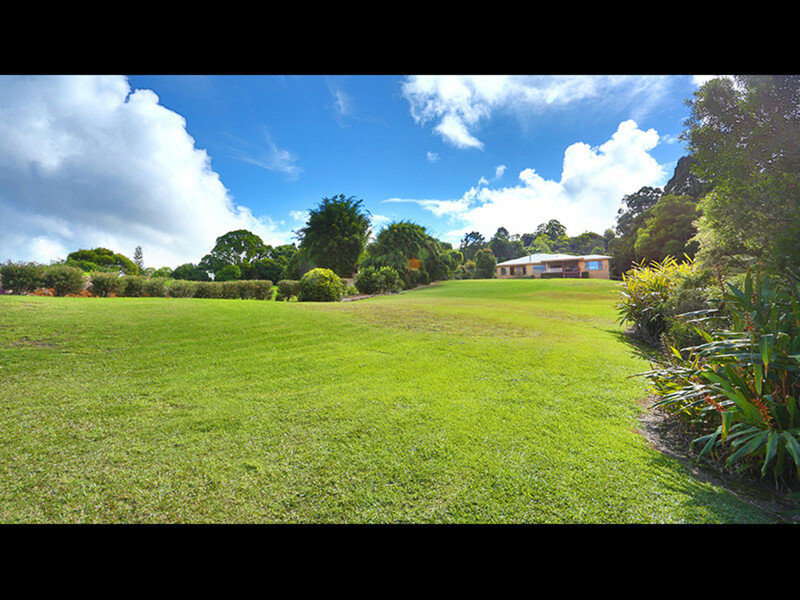 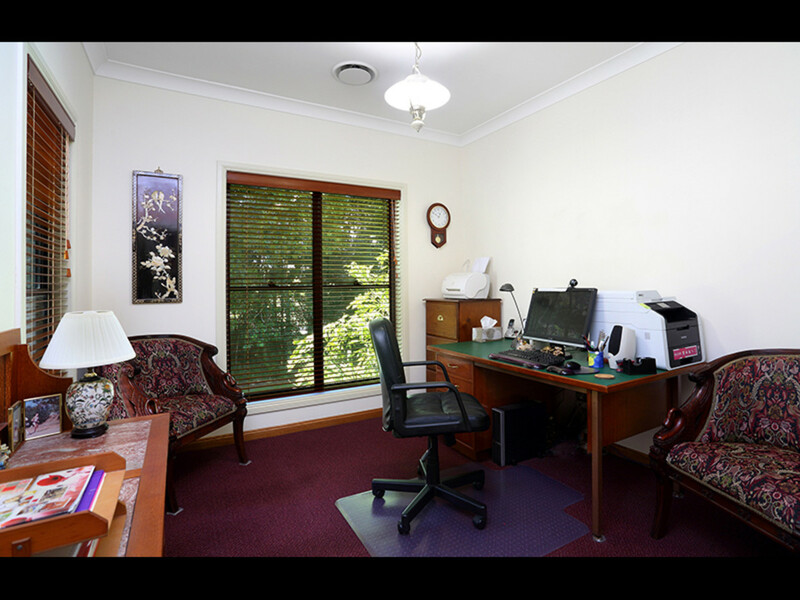 Privately nestled amongst 1.9 acres of manicured grounds, the architecturally designed homestead sits surrounded by a variety of established gardens, mature trees and fruiting species. 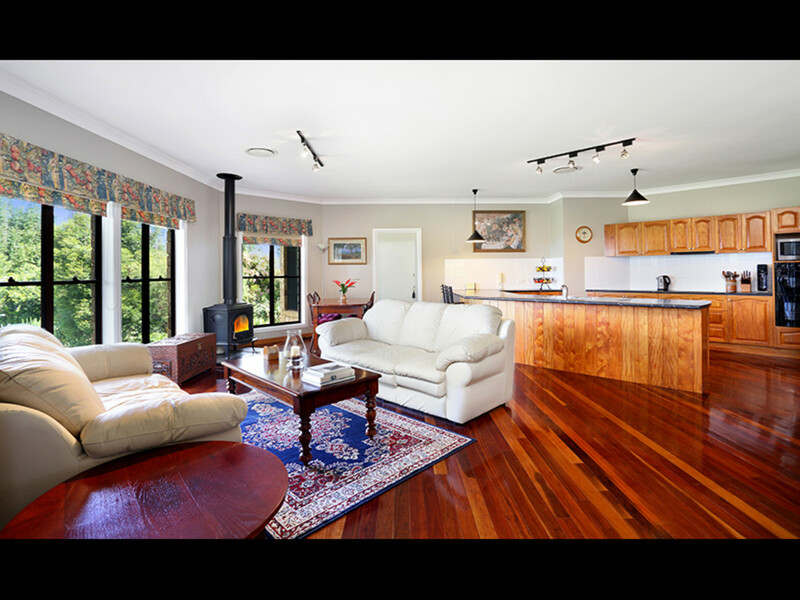 A sense of warmth and light fills the entire home with a practical floor plan designed to capture the stunning outlook and bring the outside in. 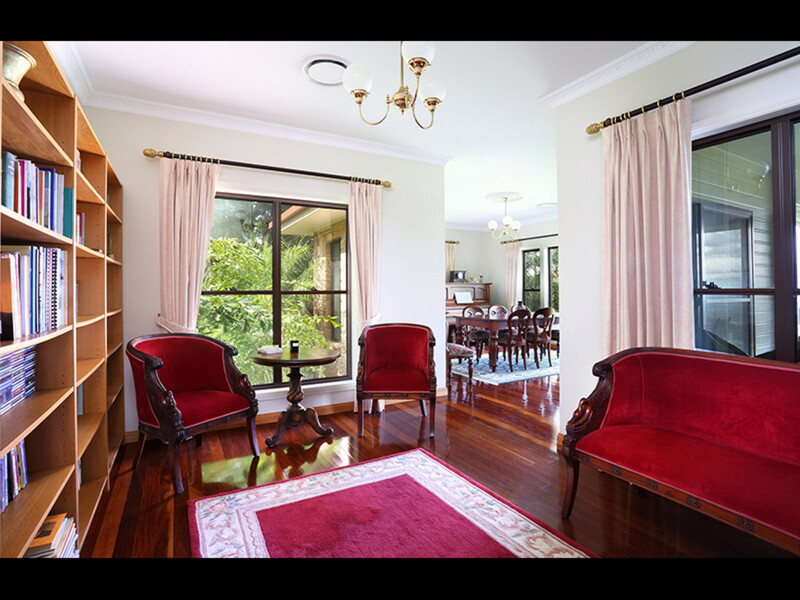 With an emphasis on space and style, the home combines classic ornate features, high ceilings, timber shutters, polished ironbark timber floors and sophisticated touches throughout. 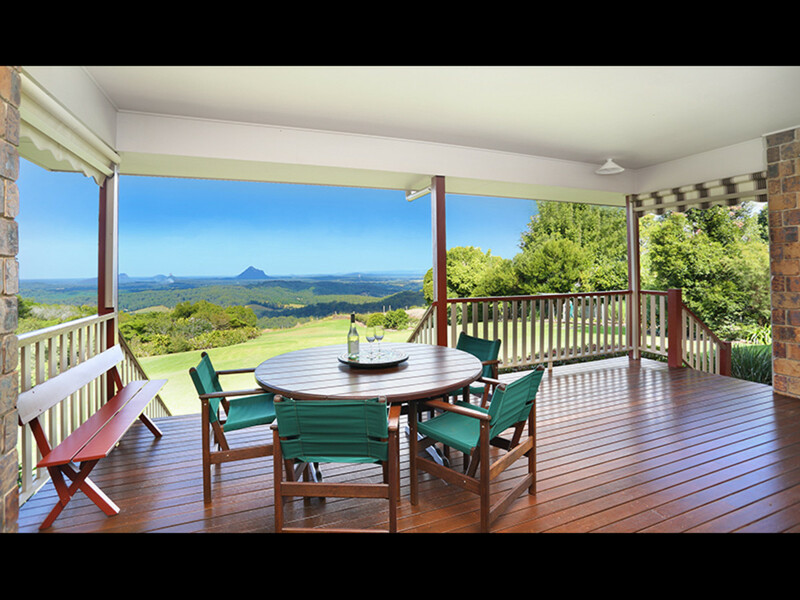 There are a variety of tasteful formal and informal living options throughout the home along with two outdoor entertaining areas suitable for every season. 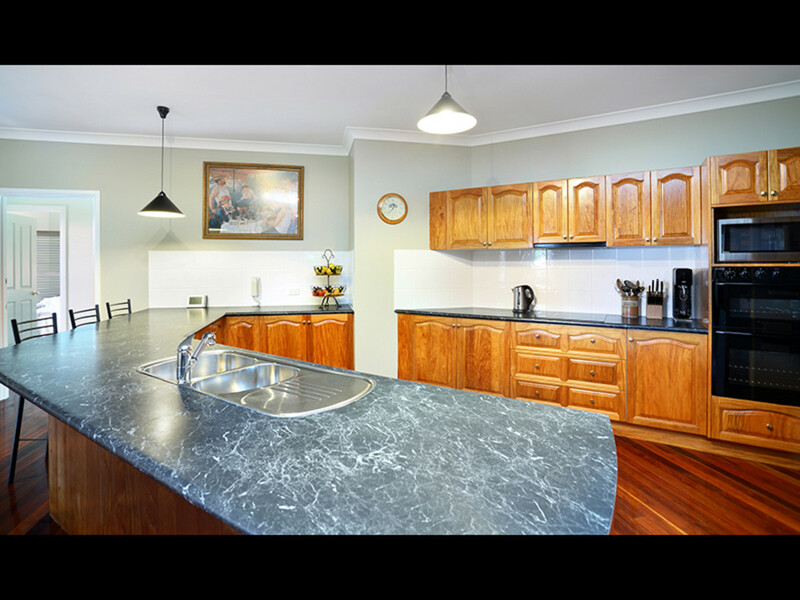 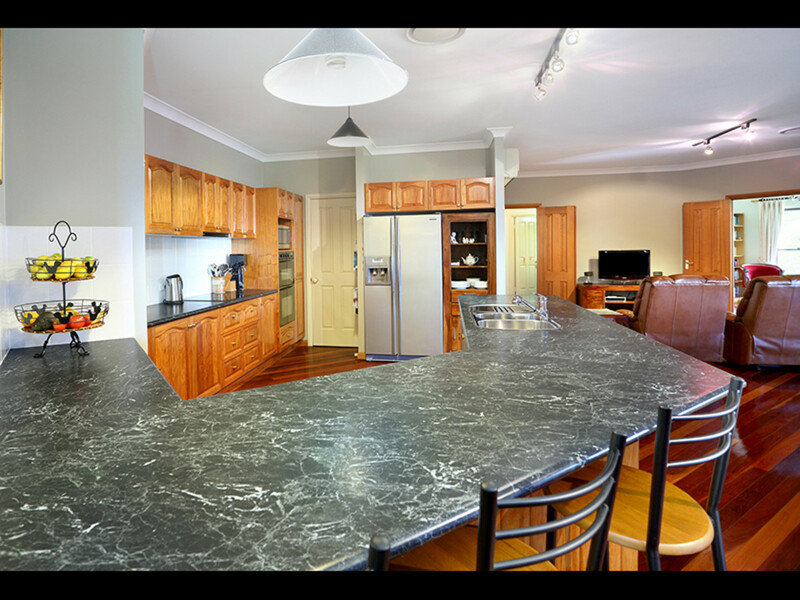 The country style kitchen boasts new guinea rosewood finishes, near-new high quality appliances and a large induction cooktop. 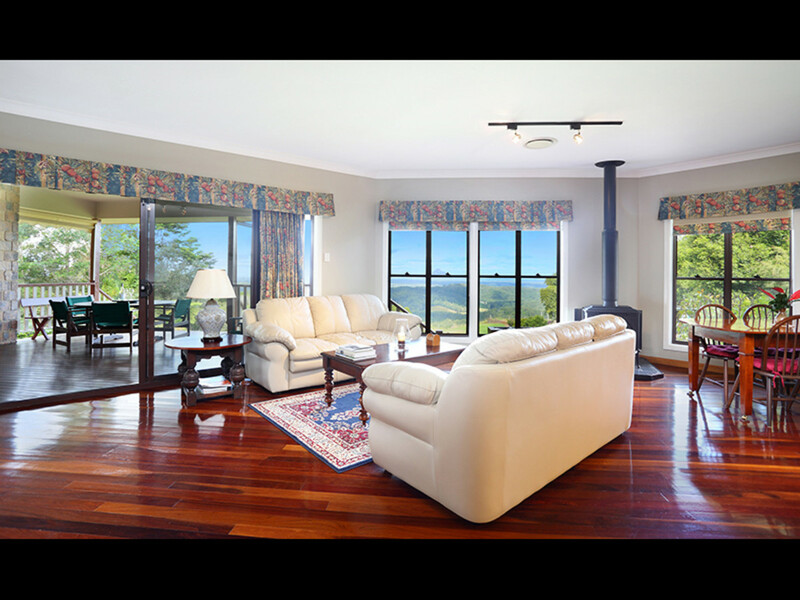 Ducted air-conditioning ensures all year round comfort along with a cosy log fireplace in the lounge for those cool winter evenings. 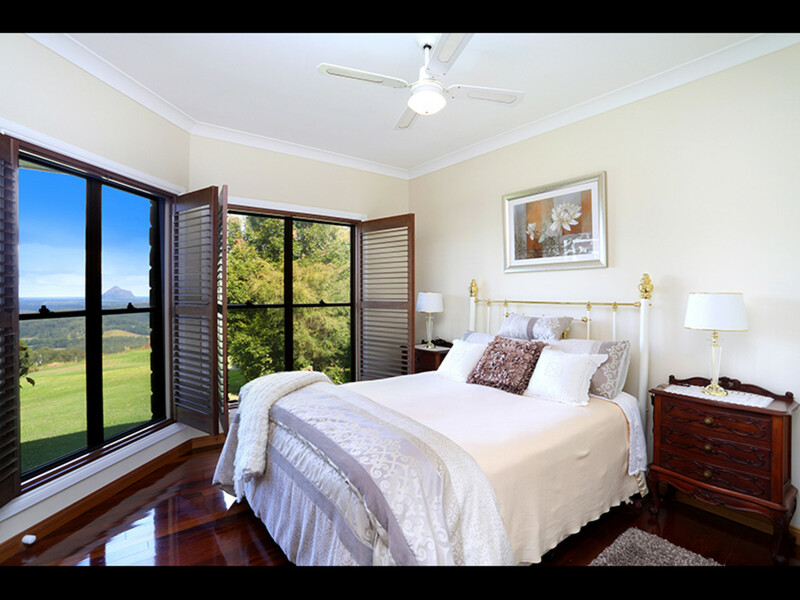 Three of the four bedrooms are built-in with the magnificent master complete with a spacious walk-in robe and private ensuite. 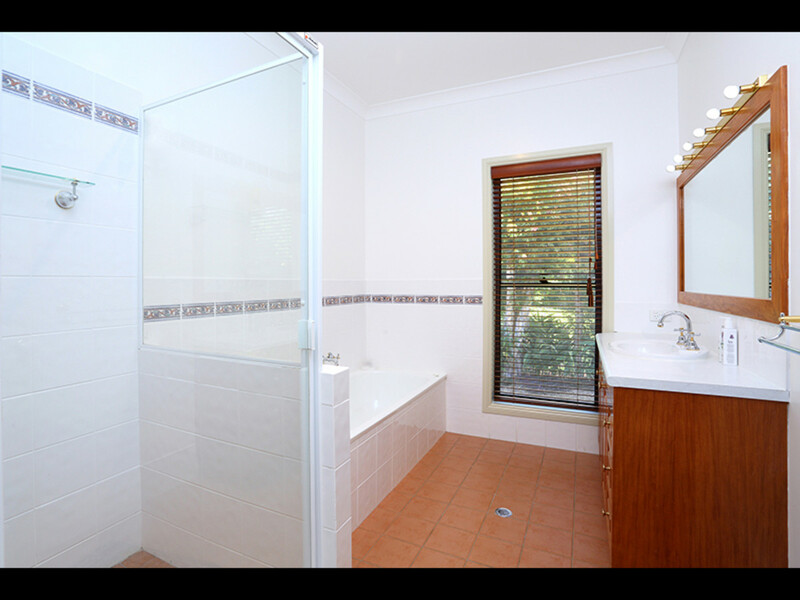 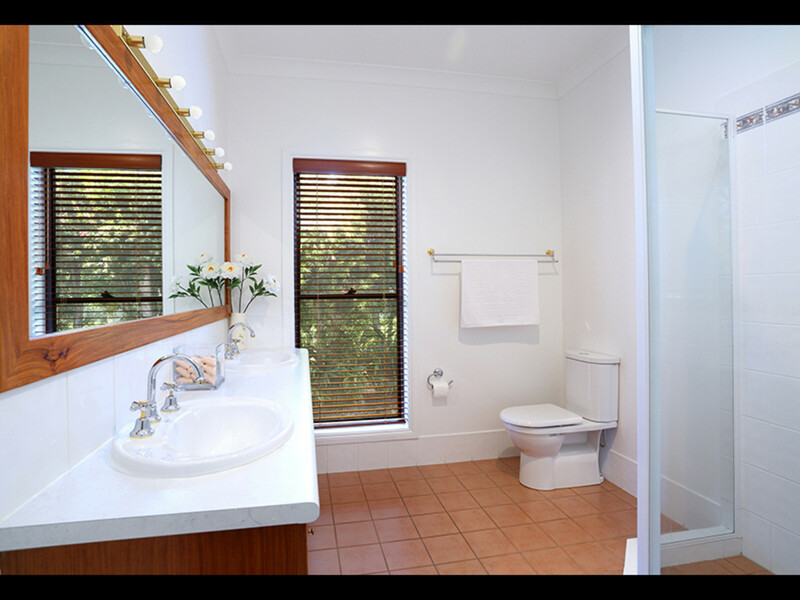 Both bathrooms are also finished with new guinea rosewood as well as a luxurious deluxe bathtub and separate powder room. 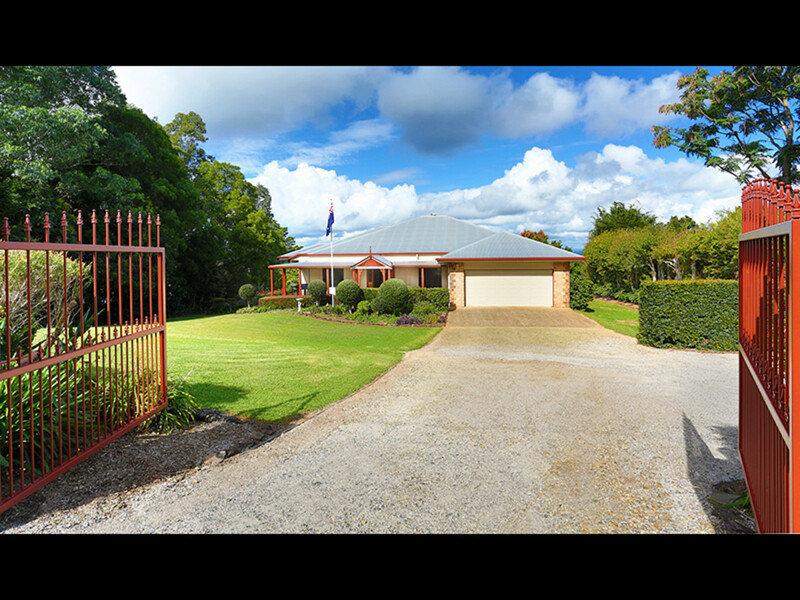 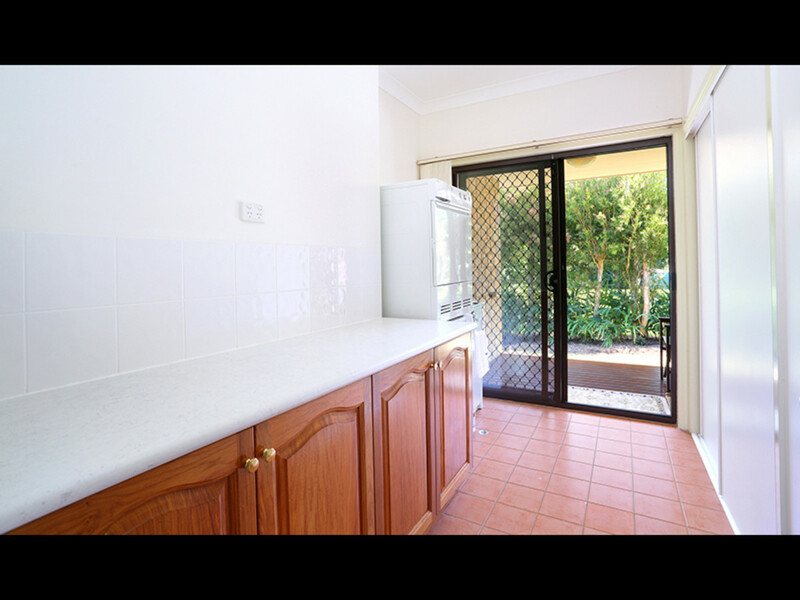 No detail has been spared with a double lock up garage plus separate workshop with power, automatic front gates with intercom, security screens, custom made extra-wide red cedar front door, underground power, sunken concrete rainwater tanks, substantial bore, garden shed and chicken coop. 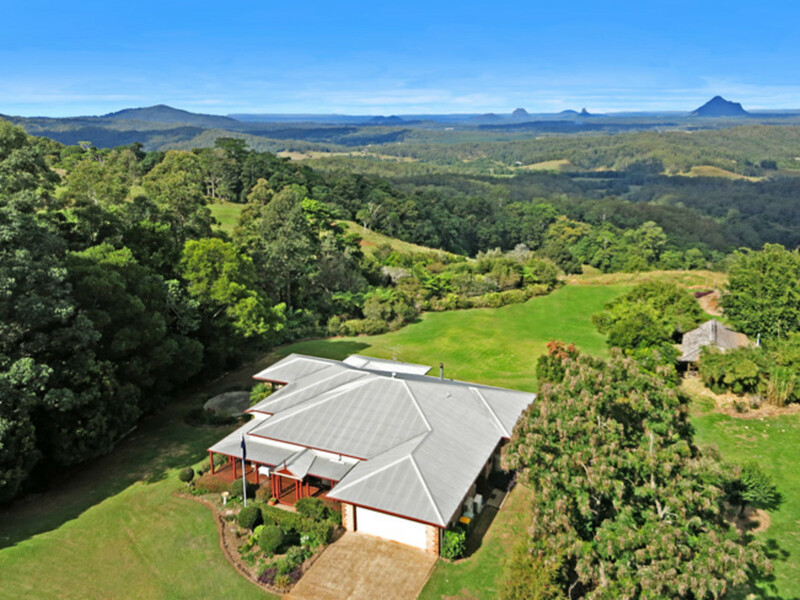 Hinterland living at it’s absolute finest, this exceptional home exudes elegance and comfort in a picture perfect setting and is PRICED TO SELL!